Laptops | Page 4 | Choosist U.S. 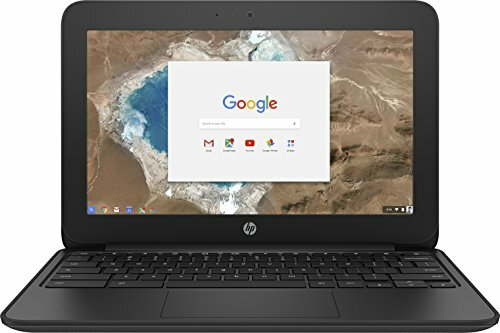 If you are looking for a laptop that can last you all day without a recharge, you should consider this impressive HP Chromebook. 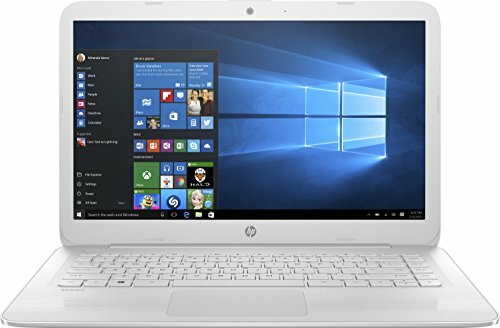 With the sleek white design, this laptop has been designed for productivity. 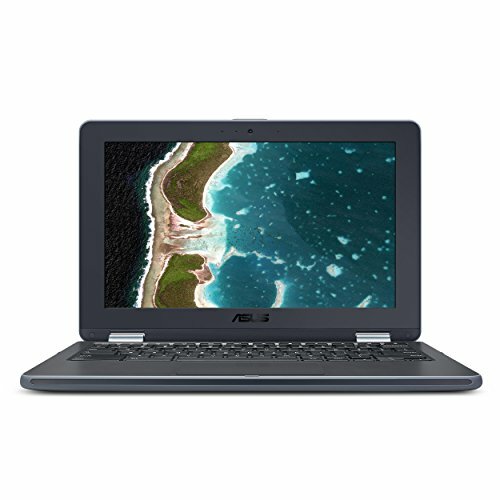 Whether you are looking for a laptop for work, entertainment or studying, this is an easy-to-use and accessible design with an easy connection to the Google Play store that allows you to download all the web-based apps that you need to succeed. What's more, the lengthy battery life means that you can work from morning until night without worrying about charging ports, excellent for busy student and professional lives. The B&O PLAY audio system will also be able to bring your entertainment to life, delivering clarity no matter how loud you're listening. The HD display means you'll be getting striking visuals too, seeing your films in the high-definition they were made to be watched in. 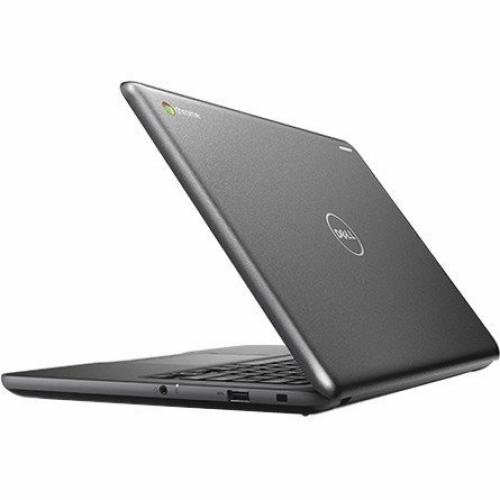 This DELL Chromebook a classroom essential, perfect for students. 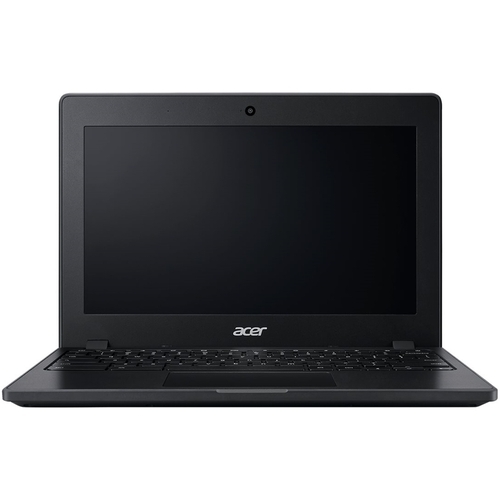 This robust laptop is durable enough to withstand the rigors of the classroom, ensuring that you can work without fear of potential damage due to the rubber-protected edges of its base. We know how important connectivity is to students, and the DELL Chromebook has a variety of fast ports that can ensure that you can connect external appliances and share your files. 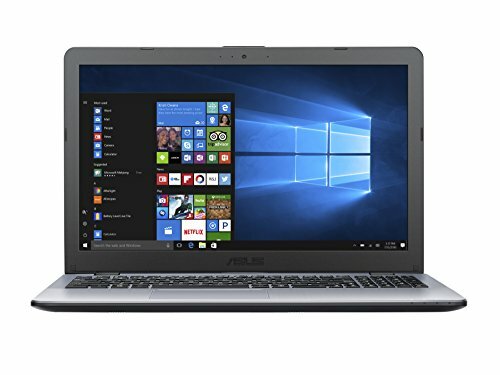 Not only this, but this laptop has an optional touchscreen that you can adapt to your way of learning by giving your laptop an extra element of interactivity. Its DELL Activity lights are also designed for the classroom, with the use of three colors acting as a non-verbal and non-disruptive way of communicating with teachers and other students in-class. Additionally, beat the chaos of student life with its extensive battery life, which can last throughout your school day and beyond. It's all about fun with this impressive and attractive 2-in-1, and with its vibrant red color, this machine stands out and makes a statement. 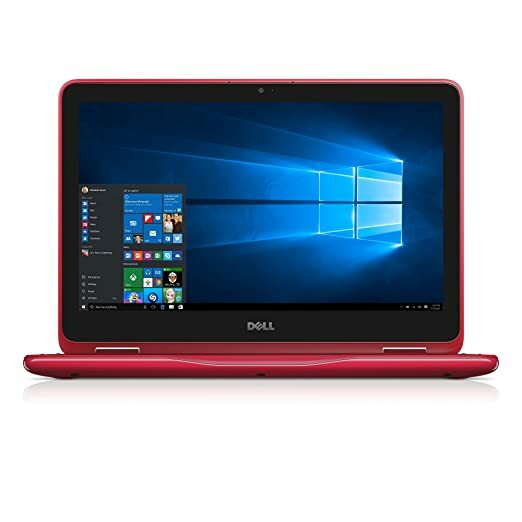 The perfect partner for those who need a laptop to adventure with, the DELL Inspiron 3168 is the ideal accompaniment that's effortlessly light but durable. If you worry this laptop is a gimmick, this 11-inch 2-in-1 will prove you wrong. The screen, whether in laptop or tablet mode, is an excellent 4k of quality with a highly responsive touchscreen. The addition of the Intel® Quick Sync Video Technology means that you'll be able to watch, edit, create and then share video content with ease, and the long battery life means that you'll be able to do it anywhere. 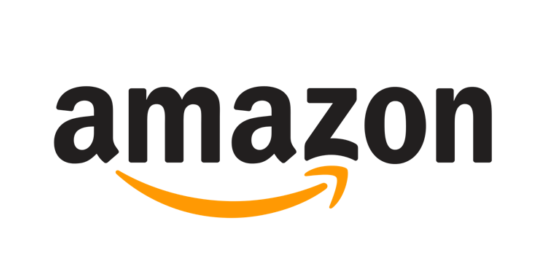 Ultimately, this is a real companion of a device, and you won't ever want to leave home without it. Versatile, powerful, and above all, a fun 2-in-1 that won't let you down. For everyday basic use, it's hard to beat this sleek and impressive HP Chromebook 14. 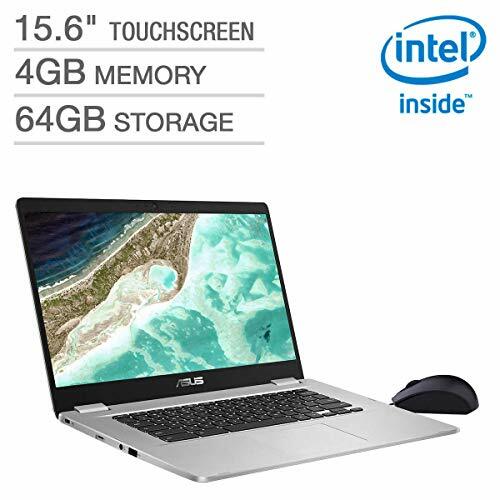 If you're looking for a laptop that lets you do the basics, like browsing the web, emailing, or even some basic photo editing, then this will certainly do the job while looking incredibly attractive, too. This Chromebook is a superbly sleek looking laptop that certainly looks the part, and the power that it packs into its slim chassis is a delightful surprise. The Intel HD graphics only add to the quality, with the inbuilt webcam doing a good job of making Skype an enjoyable experience with crisp visuals. You'll even be able to engage in video editing on this Chromebook, because the Intel® Quick Sync Video Technology is already loaded so that you can get straight to sharing your video creations with your audience - perfect for creatives! 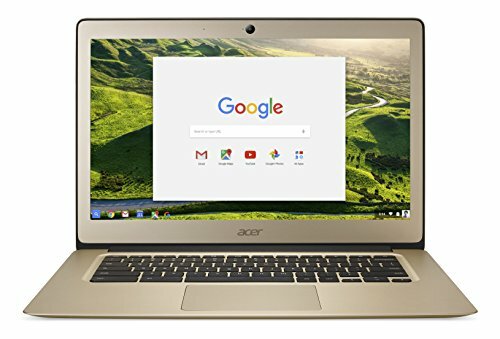 To top it all off, the 14-inch screen is the ideal size for watching your own videos or streaming films, and completes the look and practicality of this elegant and enjoyable Chromebook. Want to stay connected wherever you are? Whether you want to catch up with family or keep your business running, the HP Stream is here to keep up with all of your connectivity needs. From its reliable Wi-Fi antenna for best connection possible to lightning-fast USB ports, it has never been easier to stay connected. Keep the conversation going with smooth Wi-fi connections for all your important calls, while transferring data at speed with the Stream's top-of-the-range USB ports. Not only this, but with 32 GB of internal storage, you will be able to connect with all your documents whenever you need them. What could be better than having full access to the best of Microsoft Office, and an addition 1 TB of storage space? By using these extra features, you can stay more connected than ever, ensuring that you can find any document or contact anyone in a couple of clicks. Find a practical and stylish Chromebook to match your lifestyle. In striking white, this stunning laptop has all the basic features that Chromebooks need to help you get your work done on time. With a long battery life, you never need to worry about leaving the house without a charger again. Take your Chromebook on your commute with its lightweight portability, which can ensure that this Chromebook is easy to carry around with you. Not only this, but see your work in vibrant high definition with the backlit 14 inch HD screen, which can help you see all of your web-based definition in technicolor. With 4 GB of RAM, you can have enough power for a fast and reliable experience when using applications. Even better, never worry about communication again, with Bluetooth and a HD webcam ensuring that you can share files and ensure that you can view your contacts in high definition. Pair simplicity and practicality with the HP Chromebook. Perfect for students and casual users, this HP Chromebook gives you access to a range of web-based applications which can help your daily life. With a backlit 14 inch HD screen, your work can be seen in vivid and crystal clear visuals. In addition, the backlit screen will ensure that you get smooth visuals at all times. With 4 GB of RAM to ensure that you can run basic software, the HP Chromebook's major features include its portability. 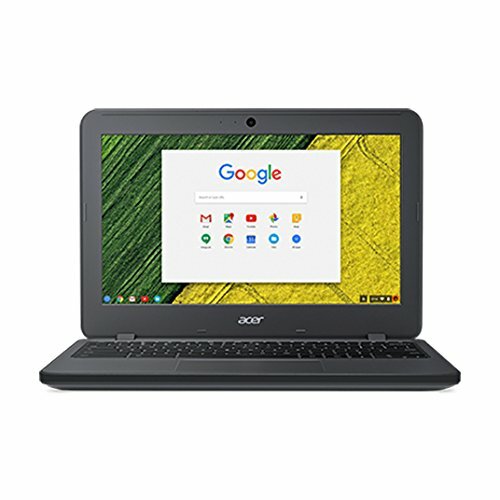 Never be stuck without access to the internet, with it's lightweight and portable design ensuring that this Chromebook can be your constant companion. This is paired with a long battery life to ensure that you have a reliable source of internet access from morning through to the night. Stay connected with friends and colleagues through its practical communication such as its Bluetooth and HD webcam, which ensure that you can transfer documents to others and ensure you get a high definition experience. 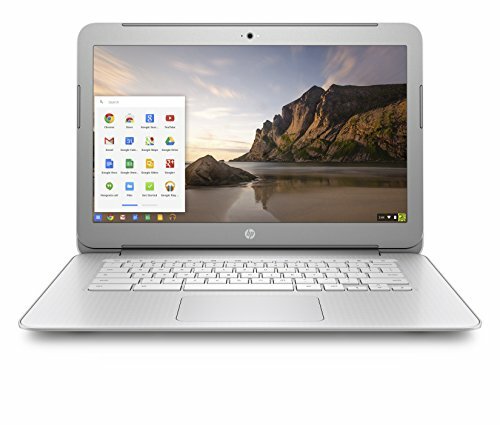 This HP Chromebook is the Notebook all students have been looking for, with its excellent capacity for essay-writing, note-taking and conducting research through its easily accessible interface and quick start-up process. While you may be concerned to take your laptop into the classroom, this laptop has almost indestructible rubber edges that prevent it from being eaten by the dog - like your homework. Give your learning a 21st-century update with the Chromebook's touchscreen, providing you with an interactive way to learn with resources at a simple click of the finger. This also gives you access to the Chromebook's web-enabled apps which can boost your learning in a fun and enjoyable way. 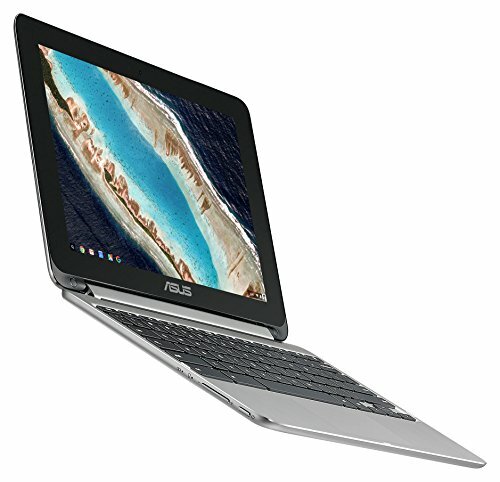 Parents - if you are worried about your kid's computer use, the Chromebook is pure simplicity, enabling students to access the web quickly and efficiently while having enough power to create a reliable work station, but without added distractions. Stylish portability meets productivity in the form of the HP Chromebook 14 G5. The ultrathin design of this sleek notebook weighs just 1.5kg so you won't even notice it after you slip it in your bag. The battery life lasts up to 10 hours without the need to recharge, whereas different modes allow you to efficiently manage power yourself. Complete in a beautiful grey finish, this lightweight Chromebook is something you'll be proud to show off. Between managing deadlines, editing documents and running professional programs, the productivity takes shape with the 1.1GHz Intel Celeron dual-core processor with 4GB of RAM. Reinforced corners and a spill-resistant keyboard protect this notebook from the wear and tear of your routine. The security features of Chrome OS ensure that this laptop is durable from the inside-out. The HP Chromebook 14 is versatile and robust enough to adapt to the evolving demands of the future-ready workspace.